It’s not all that long ago that baby monitors were really just swanky looking walky-talkies – and sometimes not really as good as that. What a long way we’ve come in just a decade! Now you can buy baby monitors that almost do everything except pick the baby up and give it a cuddle for you. Hot off the press comes the brand spanking new iBaby Monitor M2, which is due to launch in Australia in the next few months. Look familiar? It is, a bit. 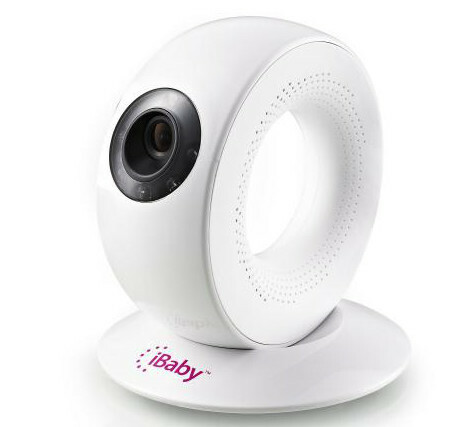 In fact, we first noticed the original iBaby Monitor early last year, but it turns out a year is a long time in gadgetry, and baby monitors are no different. What’s new with this model? Well, firstly, the price, which will be around $200 (a reduction of $50 from the previous model). Apart from its slick new profile (the camera part attaches magnetically to the base), the main difference is its new rechargeable battery which allows you two hours’ worth of moving it from place to place before it tires out. Hopefully by then your baby will have tired out too. Like the previous model, it can be controlled remotely using your iOS device and has two-way audio functions. Up to four users can control the monitor simultaneously, and because it connects through Wi-Fi it has an unlimited range, as long as your internet doesn’t drop out! It’s not in stores just yet, but it won’t be long, and in the meantime, you can keep tabs on it at iWorld, who will also sell it online as soon as it’s released.